Some time ago, I wrote about how we're now in the long-tail of machine learning in drug discovery. I noted that we're moving past generalist applications of AI such as IBM Watson's to more specific, purpose-built tools. This got me thinking: What are all the startups applying artificial intelligence in drug discovery currently? Uses AI to: Process raw phenotypic, imaging, drug, and genomic data sets. Allows researchers to: Integrate rapid analytics and machine learning capabilities into existing business processes to improve care, enhance discoveries, gain insight into business, and enable fast data-driven decisions. Uses AI to: Create curated databases from the analysis of published scientific literature. Allows researchers to: Extract structured biological knowledge to power drug discovery applications. Uses AI to: Read scientific articles and extract causal associations. Allows researchers to: Search for cause and effect relationships and gather evidence on how biomedical entities interact. Uses AI to: Find hidden connections and new insights in diverse, linked datasets. Allows researchers to: Understand and treat disease by connecting data in new ways. Uses AI to: Infer and organize knowledge from thousands of genomic, phenotypic, and clinical datasets. Allows researchers to: Identify new targets and biomarkers, repurpose drugs, and identify disease pathways amenable to combination therapy. Uses AI to: Build a database of therapy evidence. Allows researchers to: Quickly answer any comparative cost and outcome question. Uses AI to: Analyze multi-omics next-generation sequencing data for contextual, systems-level insights. Allows researchers to: Reveal previously unseen patterns across large, heterogeneous datasets to predict targets and biomarkers. Uses AI to: Respond to verbal questions and requests in a lab setting. Allows researchers to: Increase efficiency, improve lab safety, keep current on relevant new research, and manage inventory. Uses AI to: Generate insights from billions of disparate data points from thousands of data sources. Allows researchers to: Improve decision-making by seeing information in context from biomedical data sources including publications, clinical trials, congresses, and theses. Uses AI to: Learn underlying correlations in fragmented datasets with incomplete information. Allows researchers to: Estimate missing knowledge of how candidate drugs act on proteins, to aid design of new drug cocktails that activate proteins to cure disease. Uses AI to: Monitor millions of data points for signs of breakthrough events. Allows researchers to: Detect early signals of innovation. Uses AI to: Establish and find the similarity of document "fingerprints" based on a combination of keyword extraction, word embeddings, neural topic modeling, and other natural language understanding techniques. Allows researchers to: Build reading lists faster, with more precision and interdisciplinary inspiration. Uses AI to: Analyze large amounts of data fast and provide explainable, auditable results. Allows researchers to: Understand and extract meaning from internal data sets, especially unstructured ones. Uses AI to: Analyze and organize biomedical research. Allows researchers to: Receive a personalized feed of the most relevant and important research as it's published. Uses AI to: Find patterns in biomedical data and infer hypotheses for investigation. Allows researchers to: Upload datasets and have them analyzed in the context of global biomedical knowledge, leading to new diagnostic and treatment strategies, particularly for personalized medicine. Uses AI to: Extract knowledge in real-time from commercial, scientific, and regulatory literature. Allows researchers to: Identify competitive white space, eliminate blind spots in research, and discover disease similarities by phenotype for clinical trial design. Uses AI to: Build intelligence from distributed datasets, including through privacy-safe transfer and federated learning. Allows researchers to: Overcome the problem of data-sharing in healthcare to automate diagnostics, predict treatment outcomes, and optimize clinical trials. Uses AI to: Analyze over 114 million chemical structures, clinical trial information, regulatory details, toxicity data, and over 121 million patents and other sources. Allows researchers to: Validate chemical development projects. Uses AI to: Allow for intuitive searches on the world's biomedical research data. Allows researchers to: Find relevant results for drug discovery-related queries such as compounds for a specified target. Uses AI to: Search and organize information in research papers, clinical trial listings, and patents. Allows researchers to: Save time searching for information while receiving more relevant and personalized results. Uses AI to: Curate, in combination with human expertise, millions of scientific papers from thousands of publications. Allows researchers to: Stay up-to-date with new scientific publications and patents. Uses AI to: Enable natural language search on billions of rows of data from any source. Allows researchers to: Speed analysis of clinical trial results and historical genomics data. Uses AI to: Predict cancer progression from tumor DNA in blood samples. Allows researchers to: Determine treatment response and relapse earlier, and use Bayesian adaptive clinical trial design to increase the success of late stage trials. 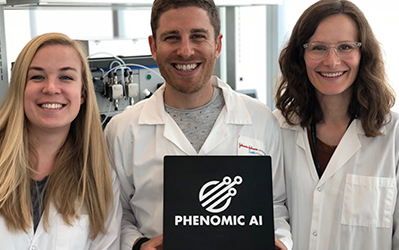 Uses AI to: Organize and standardize immune-related gene, protein, cell, and microbiome data into a single, machine-readable, cell-level view of the immune-system. Allows researchers to: Gain novel insights related to mechanisms of disease, clinical markers, and drug discovery and validation. Uses AI to: Analyze 200 omics databases, connecting published literature, experimental data, and clinical data. Allows researchers to: Get insight into how molecular mechanisms influence cell and tissue functions, and how these in turn influence phenotypes and disease pathology. Uses AI to: Link phenotypic traits to genetic mutations. Allows researchers to: Discover new clinical signs, symptoms, and genes for biomarkers, and access data to develop, test, and market precision medicines. Uses AI to: Find combinations of genomic, phenotypic, and clinical features that define disease risk, prognosis, and therapy response in a complex disease population. Allows researchers to: Find novel drug targets in existing datasets, identify drug repurposing opportunities, and improve biomarker-driven patient stratification strategies. Uses AI to: Analyze cell and tissue phenotypes in microscopy data. Allows researchers to: Rapidly and accurately profile single cells in microscopy images. Uses AI to: Analyze metabolomic data along with other large-scale molecular information such as data from genes, proteins, drugs, and diseases. Allows researchers to: Find disease pathways, novel drug targets, new therapeutic effects for existing drugs, molecular mechanisms for pharmacological effects, and new biomarkers. Uses AI to: Analyze ethically sourced, clinically curated, anonymised patient data from NHS Foundation Trusts. Allows researchers to: Discern potential new physiological pathways and identify subgroups of patients most likely to respond well to treatments. Uses AI to: Enable high-throughput structure discovery of proteins and molecular complexes from cryo-EM data. Allows researchers to: Discover and understand the detailed three-dimensional structure of important protein molecules, complexes, and drug targets. Uses AI to: Reliably find complex patterns in high-dimensionality biomedical data. Allows researchers to: Predict disease status, stratify patients, and provide decision support in drug development and precision medicine. Uses AI to: Analyze genomic data related to cancer and other diseases. Allows researchers to: Discover biomarkers associated with drug responses. Uses AI to: Generate models from large, high-quality datasets. Allows researchers to: Address key problems in the drug discovery and development process. Uses AI to: Generate models from data on mature cardiac tissue engineered from induced-pluripotent stem cells. Allows researchers to: Predict the physiological effects of different drugs for heart conditions. Uses AI to: Analyze data from sources including patient stem cells. Allows researchers to: Discover drugs for neurodenerative diseases, including ALS. Uses AI to: Analyze data to find non-obvious, mechanism-of-action based associations between compounds, molecular targets, and diseases. Allows researchers to: Reposition late preclinical stage drugs in multiple sclerosis, mitochondrial diseases, oncology, epilepsy and chronic fatigue syndrome / myalgic encephalopathy. Uses AI to: Find applications for existing approved drugs or clinically validated candidates. Allows researchers to: Develop a pipeline of product candidates in immuno-oncology, neuroscience, and rare diseases. Uses AI to: Match existing drugs with rare diseases. Allows researchers to: Repurpose existing drugs to accelerate treatment of rare diseases. Uses AI to: Analyze genetic signals and molecular markers for patient response to drugs. Allows researchers to: Find clinical uses for validated cancer treatments whose development has been discontinued. Uses AI to: Screen and reposition known drugs in unrelated indications at new, lower doses. Allows researchers to: Identify synergistic combinations of repositioned drugs for diseases with high unmet medical needs. Uses AI to: Synthesize knowledge from multiple biomedical sources (using nference technology). Allows researchers to: Discover potential rare disease indications and subsets of patients who may respond favorably to an existing drug. Uses AI to: Conduct experimental biology at scale by testing thousands of compounds on hundreds of cellular disease models in parallel. Allows researchers to: Rapidly identify new indications for many known drugs and shelved assets. Uses AI to: Interpret how drug compounds would interact with people in the real world. Allows researchers to: Predict new indications for existing drugs (current focus). Uses AI to: Iterate small molecules to find candidates with optimal properties for a target. Allows researchers to: Design novel treatments for diseases including cancer, bacterial infection, and muscular dystrophy. Uses AI to: Predict antibody-antigen binding. Allows researchers to: Generate antibody drug candidates in one day. Uses AI to: Curate and mine gene variants. Allows researchers to: Accelerate discovery of proteins for improving human health. Uses AI to: Predict drug candidates by leveraging a convolutional neural network trained on a huge amount of organic chemistry data. Allows researchers to: Generate novel drug candidates faster (with a number of candidates already in development with partners). Uses AI to: Generate insights from molecular data for a deep understanding of disease biology and patient subtypes. Allows researchers to: Discover compounds designed to most effectively address significant unmet medical needs for clinically meaningful disease subtypes. Uses AI to: Analyze data from its "Totally Integrated Medicines Engine" platform. Allows researchers to: Perform and screen billions of assays in a single day. Uses AI to: Ingest scientific research data sets, then form and qualify hypotheses and generate novel insights. Allows researchers to: Identify novel drug candidates (via life science-focused subsidiary BenevolentBio). Uses AI to: Analyze data from patient samples in both healthy and diseased states to generate novel biomarkers and therapeutic targets. Allows researchers to: Generate therapeutic targets from biological data in an unbiased way, and implement personalized medicine at scale. Uses AI to: Analyze omics data related to aging. Allows researchers to: Develop biomarkers and drugs that impact human aging. Uses AI to: Analyze data from single-cell RNA sequencing. Allows researchers to: Understand genes in specific cells that trigger disease, then develop precision treatments for those diseases along with companion biomarker-based diagnostic tools. Uses AI to: Generate molecular structures based on user-defined criteria. Allows researchers to: Design novel small organic molecules and scaffolds. Uses AI to: Search a virtual chemical space, predict binding affinity and allow filtering for drug-like properties, safety, and synthesizability. Allows researchers to: Speed drug development with a higher success rate and better targeting of hard-to-drug indications. Uses AI to: Predict biological activity from molecular structures. Allows researchers to: Intervene in pathways that cancer cells use to escape cell death. Uses AI to: Integrate clinical trial data with real-world evidence and public datasets to eliminate silos of health information. Allows researchers to: Reduce the cost of drug development, and improve the time-to-market and likelihood of success for new drugs. Uses AI to: Search 69 billion molecules with the goal of generating a library of 1,000 compounds to manipulate cell biology. Allows researchers to: Unlock new classes of antisense oligonucleotide therapies. Uses AI to: Analyze RNA data from patients to identify new biomarkers and drug targets. Allows researchers to: Accelerate discovery of RNA therapeutics. Uses AI to: Uncover gene interactions and biological networks underlying diseases, and test therapies that target them. Allows researchers to: Make analyses and predictions for precision medicine applications. Uses AI to: Analyze complex networks of molecular interactions in cells. Allows researchers to: Acquire or in-license drug candidates. Uses AI to: Identify suitable targets for vaccines and antibodies in complex immunological data. Allows researchers to: Program the immune system to fight off diseases from cancers to hard-to-treat infections. Uses AI to: Learn best-practices from drug discovery data and experienced drug hunters. Allows researchers to: Generate drug candidates in roughly one-quarter the time of traditional approaches. Uses AI to: Generate novel insights and predictions from biological data, chemical data, and curated databases of approved drugs. Allows researchers to: Leverage existing data to develop therapies (currently focused on infectious disease diagnostics and treatments). Uses AI to: Predict immune targets for cancer immunotherapy using a model trained on extensive human tumor data. Allows researchers to: Develop new approaches to drive potent, tumor-specific immune responses that provide therapeutic benefit to a large number of cancer patients. Uses AI to: Simulate, filter, and search for molecules with "Generative Tensorial Networks." Allows researchers to: Discover molecules otherwise hidden from view. Uses AI to: Design novel compounds that optimize for specific objectives. Allows researchers to: Improve the success rate of in silico to in vitro translation. Uses AI to: Predict pharmacological properties of drugs and supplements, and identify novel biomarkers. Allows researchers to: Generate novel therapeutic candidates, with a focus on aging and age-related diseases. 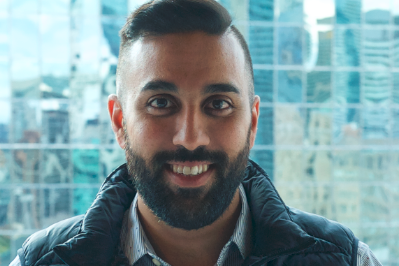 Uses AI to: Analyze data from next-gen sequencing, genome editing, chemical genomics, and combinational drug screening to find the most appropriate patients to treat with novel therapeutics. Allows researchers to: Develop precision therapeutics for cancer and rare diseases. Uses AI to: Shorten discovery and screening, lead optimization, and ADMET studies. Allows researchers to: Create "build-to-buy" partnerships, forming startups around new drug discovery programs that pharmaceutical companies can then acquire if successful. Uses AI to: Analyze data in a SaaS-based bioinformatics platform for computational drug discovery. Allows researchers to: Leverage big data and machine learning for every stage of the drug discovery process, from target-identification to post-marketing activities, with no need for their own hardware infrastructure. Uses AI to: Discover connections between drugs and diseases at a systems level by analyzing hundreds of millions of raw human, biological, pharmacological, and clinical data points. Allows researchers to: Find drug candidates and biomarkers predictive of efficacy for diseases. Uses AI to: Predict the therapeutic potential of food-derived bioactive peptides. Allows researchers to: Cost-effectively develop highly targeted treatments for specific diseases from natural food sources. Uses AI to: Design protein drugs through reinforcement learning. Allows researchers to: Target a wider array of binding sites, target diseases with high specificity, and create compounds that are easier to synthesize and test. Uses AI to: Analyze many drug discovery factors simultaneously, such as effects, side effects, and toxicity. Allows researchers to: Solve complex drug discovery optimization problems. Uses AI to: Assess and prioritize a library of drug candidates derived from analyzing tumor microenvironments. Allows researchers to: Simultaneously discover novel targets and functional antibodies for cancer. Uses AI to: Accelerate experimentation for discovering therapies for aging and related diseases. Allows researchers to: Uncover new therapies for diseases of aging by targeting the biological processes of aging itself. Uses AI to: Aggregate and mine disparate biomedical datasets to reveal novel vulnerabilities in cancer. Allows researchers to: Exploit novel cancer vulnerabilities with innovative treatments. Uses AI to: Screen compound libraries for efficacy against a disease, identify new drug candidates from a public library, and identify biologic targets. Allows researchers to: Speed and reduce costs for drug discovery. Uses AI to: Perform de novo molecular design and molecular simulation. Allows researchers to: Automate design of small molecule drugs. Uses AI to: Analyze data from the world's largest database of microbiomes in the world. Allows researchers to: Develop new treatments inspired by novel insights into human-microbe relationships. Uses AI to: Map hundreds of genes that cause a disease, then find drugs that target all at once. Allows researchers to: Find cures for complex diseases—especialy brain diseases—that involve a network of genes. Uses AI to: Analyze concepts in unstructured documents and perform advanced chemistry analysis. Allows researchers to: Mine data in electronic laboratory notebooks, find unexpected relationships between mechanisms of action and disease, and generate novel compounds optimized for specific variables. Uses AI to: Predict protein-ligand binding. Allows researchers to: Select better drug candidates, exclude toxic or reactive molecules, and improve ADMET profiles. Uses AI to: Better predict how molecules will behave in the body. Allows researchers to: Accelerate development of more effective therapies. Uses AI to: Predict the impact of ligands on protein-protein interactions. Allows researchers to: Increase the success rate of small molecule drugs targeting protein-protein interactions. Uses AI to: Integrate structural, target, and pathway-based descriptors to generate toxicological profiles of small molecule drugs in silico. Allows researchers to: Reduce the time and cost of preclinical decision-making while increasing the likelihood of success for compounds selected for clinical trials. Uses AI to: Understand how patient subpopulations respond to treatments. Allows researchers to: Match drugs to patients, with the potential to extract information from failing or failed clinical trials and revive the prospects for at-risk drugs. Uses AI to: Predict potency and pharmacokinetic properties of small molecules, and conceive new molecules to optimize for them. Allows researchers to: Accelerate preclinical drug development by generating and improving leads. Uses AI to: Simulate experiments. Allows researchers to: Gain insights into how a drug works from the preclinical phase through phases I, II, and III. Uses AI to: Predict pharmacology of potential new drug candidates through pharmacokinetic and pharmacodynamic modeling and simulation. Allows researchers to: Narrow the number of drug candidates that offer anticipated effects for specified diseases. Uses AI to: Predict the crystalized form a drug will take. Allows researchers to: Understand the potential safety, stability, and efficacy of drug candidates. Uses AI to: Provide insight and analysis into a drug's poylpharmacology. Allows researchers to: Reduce attrition rates of lead therapeutic compounds and improve patient outcomes with fewer side effects. Uses AI to: Design structurally new small molecules for validated biological targets. Allows researchers to: Collaborate with each other (using what they call "Human Collective Intelligence") and AI to jointly develop safer and more effective therapeutics. Uses AI to: Analyze public and private data, with a claim to work with less data, noisier data, and more biased data than alternative approaches. Allows researchers to: Predict how a potential drug will behave in the lab and the body, with a focus on neurodegeneration, cardiovascular disease, and oncology. Uses AI to: Predict protein features and characteristics. Allows researchers to: Reduce complexity in protein design, detect production and characterisation issues, and discover novel protein features. Uses AI to: Design peptides based on a target's solved crystal structure. Allows researchers to: Speed development of peptide drugs, which have high selectivity and low toxicity. Uses AI to: Identify minimum functional units of protein drug candidates by building specific predictive models from customized data sets. Allows researchers to: Reduce dependence on mass screenings, both virtual and chemical, through rapid selection of small molecule agonists, antagonists, or functional mimics of protein drug candidates. Uses AI to: Make and modify DNA. Allows researchers to: Prototype and edit recombinant molecules for vaccines and biologic medicines. Uses AI to: Optimize synthetic biotherapies that are easy to manufacture, shelf stable, and outperform known antibodies. Allows researchers to: Mimic proven monoclonal antibodies with safer, more effective biologic alternatives. Uses AI to: Decode open- and closed-access data on reagents such as antibodies and present published figures with actionable insights. Allows researchers to: Reduce time, money, and uncertainty in planning experiments. Uses AI to: Determine biological variables influencing CRISPR guide design. Allows researchers to: Improve activity and reduce experimental bias in the selection of guides for CRISPR libraries. Uses AI to: Generate novel insights from high-quality cancer research data gathered by a robotic system. Allows researchers to: Configure experiments remotely and have them executed in a fully automated cloud laboratory. Uses AI to: Automate selection, manipulation, and analysis of cells. Allows researchers to: Expedite development of cell lines and automate manufacturing of cellular therapeutics. Uses AI to: Conduct experiments in an automated lab exactly as specified. Allows researchers to: Run experiments in a central lab from anywhere in the world. Uses AI to: Make sense of data from testing drug candidates on their bioartificial human heart constructs. Allows researchers to: More accurately evaluate a drug candidate's cardiac safety and effectiveness. Uses AI to: Build models to understand complex biological systems within Antha, its language and software platform for biology experiments. Allows researchers to: Optimize, reproduce, automate, and scale experiment workflows. Uses AI to: Automate sample analysis with a robotic cloud laboratory. Allows researchers to: Generate needed data quickly and reliably with an outsourced, on-demand, automated lab. Uses AI to: Predict which patients will respond to therapies in development. Allows researchers to: Advance therapies that fail phase 3 studies. Uses AI to: Transform diverse streams of biomedical and healthcare data into computer models representative of individual patients. Allows researchers to: Deliver personalized medicine at scale, by revealing optimal health interventions for individual patients. Uses AI to: Estimate the risk of clinical trials, and interpret the multitude of factors that contribute to that risk. Allows researchers to: De-risk drug development at the clinical trial stage. Uses AI to: Empower pathologists to access new insights in biomedical data. Allows researchers to: Increase diagnostics sensitivity and find predictive signatures of drug response. Uses AI to: Improve pathology analysis. Allows researchers to: Identify patients that would benefit from novel therapies. 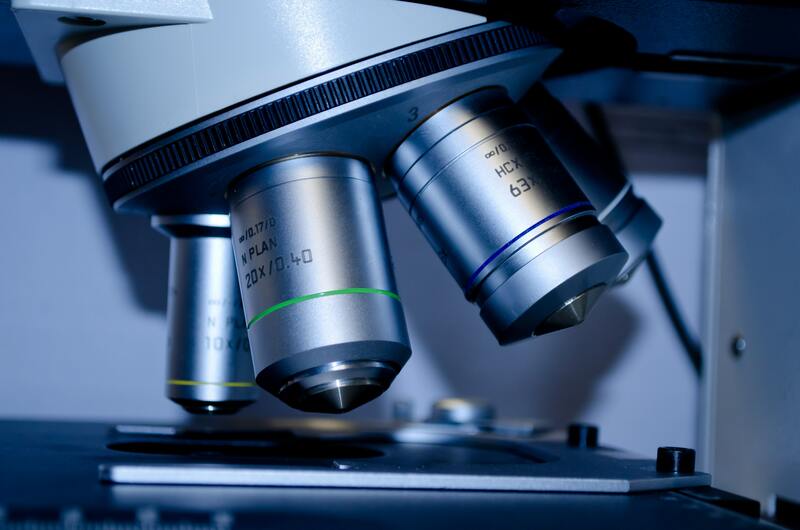 Uses AI to: Automate histopathology. Allows researchers to: Stratify patients for clinical trials. Uses AI to: Optimize clinical trial study design. Allows researchers to: Make it easier for patients to enroll and engage in clinical trials, eliminate unnecessary clinical operations burdens, and gain real-time insight into study health. Uses AI to: Make sense of unorganized and unstructured data about clinical trials. Allows researchers to: Enrol more patients in appropriate trials. Uses AI to: Screen clinical trial sites and investigators at scale. Allows researchers to: Select appropriate sites to improve patient recruitment rates and accelerate clinical trials. Uses AI to: Analyze medical records to find patients for clinical trials. Allows researchers to: Accelerate patient recruitment to complete clinical trials faster. Uses AI to: Automate matching cancer patients to clinical trials through personal medical history and genetic analysis. Allows researchers to: Expedite clinical trial enrollment for cancer treatments. Uses AI to: Visually confirm medication ingestion via smartphone. Allows researchers to: Improve medication adherence in clinical trials. Uses AI to: Analyze cancer biomarkers in 60 seconds from a drop of blood using an at-home device slightly bigger than an Amazon Echo. Allows researchers to: Optimize oncology drug development with a biomarker monitoring platform and millions of patient datapoints. Uses AI to: Analyze structured and unstructured clinical trial participant data. Allows researchers to: Reduce clinical trial dropout rates through personalized communication. Uses AI to: Analyze radiological images to produce clinically actionable information. Allows researchers to: Predict a patient's disease progression and treatment response, for clinical trial stratification and companion diagnostics. Uses AI to: Find hidden health signals in data from personal devices such as laptops and smartphones. Allows researchers to: Optimize clinical trials for neurological diseases, including through better, faster identification of ideal study participants, less in-clinic observation, improved compliance, and earlier measure of drug impact. Uses AI to: Analyze multiple data types from multiple systems related to clinical trials. Allows researchers to: Optimize study planning and study conduct, and gain more real-world and commercial insights. Uses AI to: Assess and monitor cognitive health by analyzing a short speech sample. Allows researchers to: Identify patients, screen patients, and evaluate response to therapy for clinical trials of mental health treatments. Uses AI to: Make the medical writing process more efficient and creative (amongst other things). Allows researchers to: Save time producing documents, including regulatory documents, while ensuring content quality and data accuracy. Uses AI to: Write a draft scientific manuscript based on provided data. Allows researchers to: Get a "head start" when writing a scientific manuscript to submit for publishing. So there you have it. What did I miss? Did I get anything wrong in the descriptions? Please let me know in the comments.